This resource reviews aspects of emergency care for avoiding risks in treating pediatric patients, with a focus on making treatment and documentation prospective, objective, and defensible. 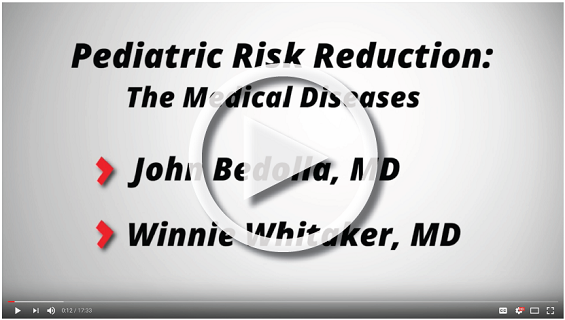 The video walks viewers through a structured approach for diagnosing febrile children based on pre-test results and likelihood ratios. Medical diseases covered include serious infections such as pneumonia, influenza, urinary tract infections, bacteremia, meningitis, and bacterial meningitis. Risk tools and scores are introduced and explained to help clinicians narrow and expedite diagnoses.